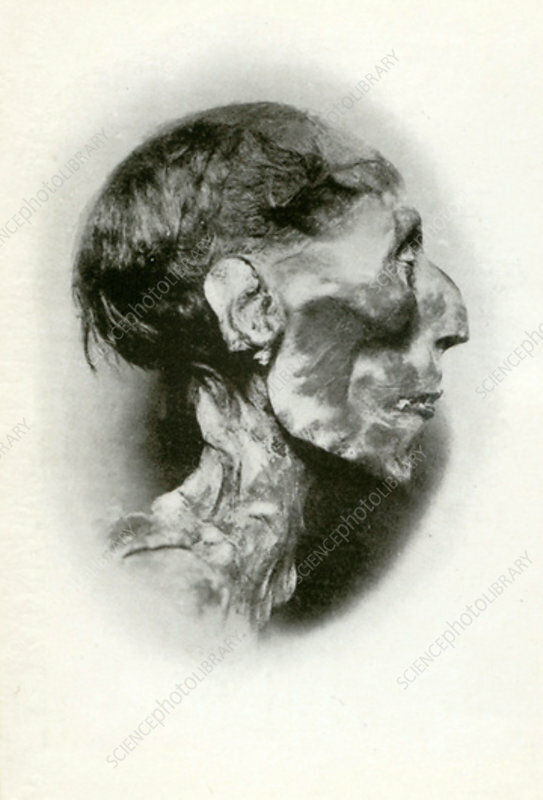 Head of the mummy of Rameses II, Ancient Egyptian pharaoh of the 19th dynasty, c1212 BC (1926). The third pharaoh of the 19th dynasty, Rameses II (Rameses the Great) ruled from 1279 until 1212 BC. His long reign saw a reassertion of Egypt's military strength and a dramatic upsurge in the rate of temple building. A print from Kings and Queens of Ancient Egypt, portraits by Winifred Brunton, Hodder and Stoughton, London, 1926.